There are 9 National Parks in North Carolina. This parkway is also one of the All-American Roads in the United States, aside from being one of the national park service sites in North Carolina. The parkway runs for 469 miles and passes through 29 counties from Virginia to North Carolina. Hence, it is recognized as the longest linear parkway in the country. The Blue Ridge Parkway is named after the famous Blue Ridge Mountains that is part of the Appalachian Mountains chain. The parkway was built in order to connect the road from Shenandoah National Park in Virginia and the Great Smoky Mountains National Park in North Carolina. Even though it is not technically a national park, this parkway is the most visited unit of the National Park System in the United States. There are approximately 12.9 million tourists who visit this parkway each year. This national seashore is another unit of the national park service sites in North Carolina. It preserves the Outer Banks of North Carolina and stretches for 70 miles. The property is managed by the US National Park Service. It was established as a national seashore in 1953 for its natural and cultural resources, of which the NPS is trying to preserve and protect. The Cape Hatteras National Seashore is also a hub for recreational opportunities. Hence, about 1.9 million tourists visit the site each year. There are several opportunities for bird watching (specifically migratory fowls during winter), fishing, surfing and exploring lighthouses and shipwrecks in the area. It is also considered as the best spot for surfing and fishing in the East Coast. This is another national seashore in the list of national park service sites in North Carolina. This 56-mile long section of the Southern Outer Banks of North Carolina (also known as the Crystal Coast) is preserved in this property. There are three barrier islands that are undeveloped that are part of this seashore. In addition, two historic villages are also encompassed in the island. If you visit the site, you can also explore the visitor center in Harkers Island. The site was established as a national seashore in 1966. The seashore is home to many wildlife species including black skimmers, American oystercatcher, brown pelicans, laughing gull, small sharks, hermit crabs, and many more. This national historic site is located in Flat Rock, North Carolina. The site preserves the home of Carl Sandburg, who is a Pulitzer-winning writer and poet. Carl Sandburg is originally from the Midwest but his family moved to North Carolina in 1945 so that he could live in the peace and solitude to pursue his writing career. In addition, they purchased this 30-acre pastureland as his wife also raised champion dairy goats. In total, there are 264 acres of land area that are encompassed within this national historic site. The Sandburg residence is the highlight of this site, but also includes the goat farm, sheds, mountainside wooded areas, rolling pastures, and hiking trails that surround it. This site preserves the location of the first English settlement in the US – the Roanoke Colony. The first settlement was founded in 1587; hence, the site is considered of national significance. The location of this national historic site is in Dare County and is one of the national park service sites in North Carolina. The entire site measures at 14 acres in land area. The settlement thrived for many years until it was mysteriously abandoned in 1590 after the supply ships failed to arrive. From then on, the settlement vanished and there were no signs of survivors. To this day, the fate of the “Lost Colony”, as they were known continues to be a mystery. The Great Smoky Mountains National Park is another unit of the national park service sites in North Carolina that is shared with another state: Tennessee. It is also a UNESCO World Heritage Site. 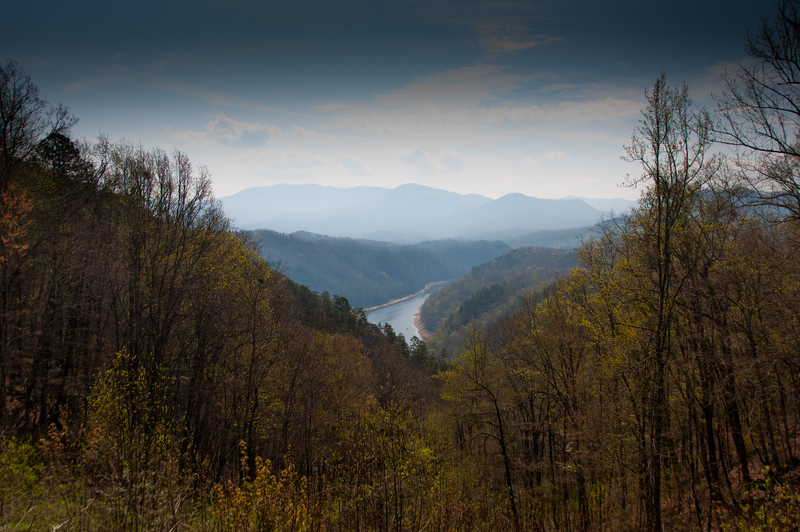 The main feature of the park is the Great Smoky Mountains and some parts of the Blue Ridge Mountains. Both of these mountains are a division of the Appalachian Mountain chain. The Great Smoky Mountains National Park encompasses over 522,000 acres in land area. Therefore, it is one of the largest protected areas in the nation. There are two access points to the park: one is located in Gatlinburg, Tennessee and the other is in Cherokee, North Carolina. More than 11.3 million tourists visit the park each year. This national military park is the only one of its kind in this list of national park service sites in North Carolina. It is located in Greensboro, North Carolina and spans over 220 acres in land area. The park was established in 1917 and is currently governed by the National Park Service in the US. The site commemorates the Battle of Guilford Court House that was fought in 1781. This battle was crucial because it launched the campaign that enabled the Americans to win the Revolutionary War. The British troops lost so much during this battle that they eventually surrendered a few months later. When you visit the military park, there are monuments and markers that are interpretations of actual events that transpired during the battle. An average of 227,000 tourists visit this site per year. This national battlefield site in Pender County, North Carolina is listed as one of the national park service sites in North Carolina. The site was established in 1926 to commemorate the victory of the Patriots over the Loyalists in 1776 in a battle that was held in Battle of Moore’s Creek Bridge. In April 1776, North Carolina was declared free from the British troops. The site was originally named a national military park in 1926; however, it was changed to a National Battlefield site in 1980. The site is visited by over 48,000 tourists per year. This national memorial site in Kill Devil Hills, North Carolina was established to commemorate the first successful, powered flights in a heavier-than-air machine. Brothers Wilbur and Orville Wright moved to North Carolina in 1900 to 1903 from Ohio. They did so because of the steady winds and the privacy provided by the location. Some of the main features in the park were the field and hangar, memorial tower and the visitor center. The field and hangar that is available for visitors to view on the memorial site are replica of the original hangar that the Wright brothers used. Meanwhile, the visitor center features several models, machines and tools that were used by the Wright brothers during their flight experiments.